There is no justice in the world. But then anyone who has been watching the lowlifes go on a rampage looting London, will already know that. TV can often reflect true life, to varying degrees of success and enjoyment, and sometimes the industry that is TV does too. This season, we saw a few SciFi series from the US, one of which was the tiresome predictable and really quite a let down that was V finally which got cancelled after it's second run. I'm not quite sure it deserved to get that far, but it did. Yes, I watched it anyway, even though it was bad, I quite like some of the cast so that compelled me to continue with it. Also cancelled, was the fantastic series hybrid The Event, which had a rocky start but soon evolved into a really exciting combination of 24 style action and, er, some show involving aliens, perhaps Roswell? Anyway, week in week out this got stronger and stronger, and I'd even recommend a watch knowing that the cliff hanger finale will leave you hanging off the cliff. 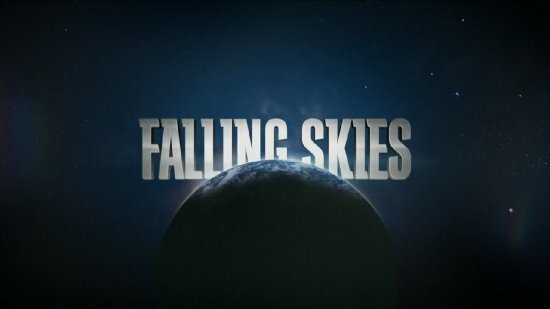 And then we get to Falling Skies, the Steven Spielberg produced SciFi series in which the aliens have already wiped out most of the planet, and the humans are fighting back. As a scenario there is so much you could do with this, so many avenues to explore, this could have been so good, so so good. Renewed for a second season after only a few episodes, this one lives on, completely without merit. This is truly one of the most benign, dreary, dull, predictable, stereotypical, badly acted, badly written, cheap looking shows on television. I wish I'd never started watching it, because as I may have hinted at before, once I start something, no matter how awful it might be, I can't help carrying on sometimes. So what's wrong with this supposedly epic tale of man vs alien? 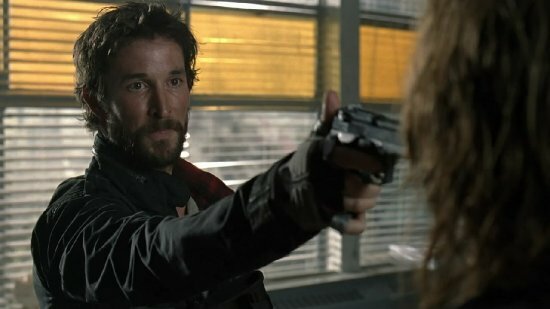 Where to start, Noah Wyle, so perfect in ER, is completely mis-cast here and acts as a leader nobody would follow unless payed to. I don't care that he is playing a history teacher, perhaps he's playing one very well, which makes the script laughable that people would follow him in such a time of crisis. Talking of crisis, things can't be that bad because everyone always looks so washed and clean, the women flawless, the men incredibly well groomed. I find it personally very re-assuring that when the poo hits the fan in the future, hairdressers and beauty therapists are going to survive, and then spend their time making sure everyone looks their best rather than shooting things. Oh and despite rarely seeing one, there must be a secret stash of baths somewhere in that school they holed themselves up in for most of the season. 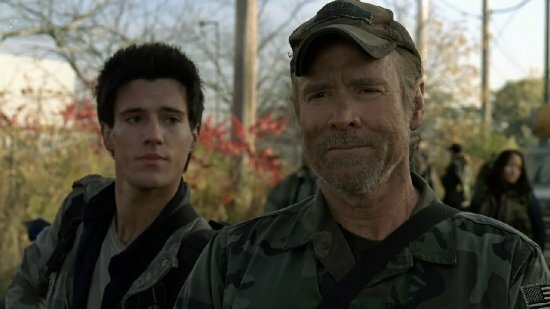 If Noah Wyle is miscast, then so is Will Patton as the military Captain who is leading this particular arm of the rag tag resistance. I defy anyone under the age of 30 when presented with an order by this guy, to not just say "LOL" and move on. Oh and apparently he was on uppers the entire season without showing any evidence at all, that is until we are told he's given them up and is suffering withdrawal. If some bad casting of two major characters was bad enough, the script they recite is even worse. Just imagine the pinnacle of tiresome predictable claptrap from that sort of stereotypical American series you thought we'd left behind. Think all the bits in the movie Pearl Harbour that weren't about the actual bombing, and you'll get the idea. Oh and how many times do they have to shoehorn religion into it, all via one irritating character played by Seychelle Gabriel. At least they gave up doing that for the last few episodes, and in one tried to be subtle about it. But seriously, when the aliens wipe most of us out, those that are left that still believe a god will save them, are certainly going to be keeping it to themselves because anyone that doesn't is going to shout at them until they do. I could go on ransacking this series with more tales of bad scripting, plot holes, sheer stupidity that makes you wonder how they survived as long as they did, and a bad guy that turns out to be not that bad after all. Yeah, nobody saw that coming. But really, all I'm doing is trying to convince myself not to watch the second season. In any show which involves special effects, these days there seems to be two clear levels, good and Babylon 5. I know, at the time B5 stuff looked good, but this is 2011, if that is your level now then just take a leaf out of Ridley Scott's book and hide the aliens as much as possible. Don't kid us that we all sit in front of TVs these days and have no idea what even the most low budget movie has managed to pull off in the last 10 years. 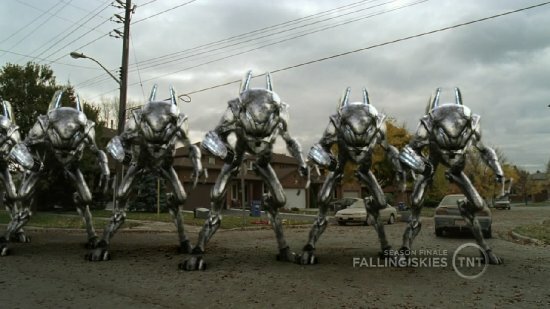 The aliens in Falling Skies are just about okay, the machines (or mechs as they are predictably called) are pathetic. These heavily armed monsters are supposed to fill you with fear, but they look so unconvincing all they fill me with is a desire to bring back stop motion ED-209 from Robocop. At least that looked cool. Oh and the finale, so, so weak. A big attack on the alien base station never happened, unless you count one rocket launcher being a big attack. The lead going off with the aliens? This character really is an idiot, unless he hopes to get out of the series and saw it as an exit off the lot. Incredibly weak, much like the entire season. So, with so little going for it, unless perhaps you live in the Bible belt or think Doctor Who is as gritty as you want your viewing to get, why on earth did this get renewed? I can think of one and only one reason, it must be incredibly cheap to make. I figure 50% of this is Wyle's salary, 25% is Patton's, and the rest evenly divided up between the remaining cast and whatever building they'll sit in for the filming. I dread to think any of it went on production, script or direction. For post apocalyptic America done right, look no further than the zombie series The Walking Dead. A smaller cast and on an apparently smaller scale, this somehow manages to look far more epic and gritty than Falling Skies could remotely hope to become. It seems these days, all the cool kids are involved in flesh eaters, the battle of Zombies vs Aliens seems to be a losing one for the latter if recent history is anything to go by.